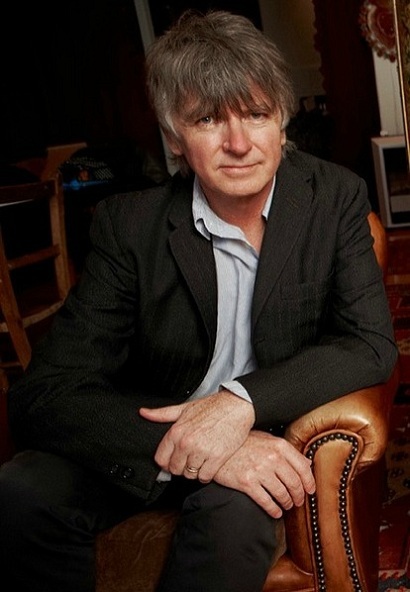 Neil Finn knew he was onto something when, in listening back to some homemade grooves he’d made with his wife, the couple was soon dancing together as if in primal response. He’d not composed like this before, not in Crowded House or, before that, Split Enz, nor in any of his various side and solo projects over the past three decades. Yet these spare and spontaneous jams, which consisted of Neil and Sharon Finn on drums and bass, respectively — instruments neither had any experience with whatsoever — showed promise. 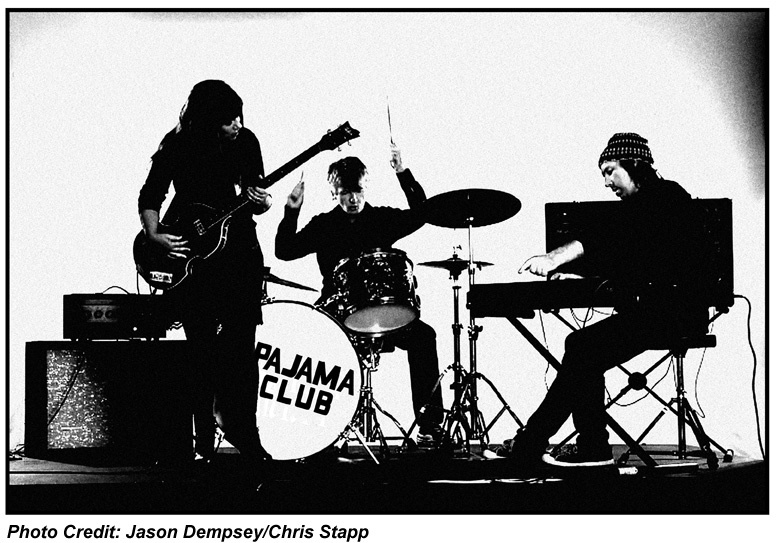 And thus the idea for Pajama Club was born. Why did you and Sharon form a rhythm section rather than picking up instruments more familiar to each of you? I don’t think we would’ve jammed at all in any other capacity. It wasn’t something we planned to do, but we’re really evenly matched on bass and drums in the sense that both of us are absolute beginners. And so therefore having a jam was a very appealing thing anyway just for the sheer hell of it. I tape everything I ever do, and there was something about the sound of it that was also quite fresh and kind of inspiring for me. It just seemed to be suggestive of some new angles, which are always a joy to discover after a lot of years of being a songwriter. And it could’ve easily, in theory, gone the other way. As neither of you were accustomed to your instruments, it could have just resulted in a clash of noise. Yeah, to some extent we weren’t expecting much. [Laughs] But some of the greatest things happen there. I think Sharon’s always had a very good sense of rhythm because she’s a great dancer. And her approach to bass is not to play that many notes at all, but just to find a groove that feels good and stick to it. That’s a very free place to be. There’s something about bass when it’s reduced to its purely rhythmic elements as long as the feel is really good. And with my drumming I think it was the same; I was just attempting to keep a feel going. I wasn’t flash enough to put many fills in. So I just keep it really simple, and somehow the two of us formed a sound. Before there were even songs we felt there was something quite strong there. On songs like “Daylight” and “Tell Me What You Want,” in particular, yours and Sharon’s voice create a unique dynamic. Was it something you had to keep in mind as you wrote, who would sing lead or who would sing which parts? We kind of had to make it up as we went along. It was a very nice feeling to not know what Pajama Club sounded like and to be able to follow our nose and our instincts. I knew that I wanted to get Sharon singing, but we didn’t know what bits would suit her, and we discovered that through trial and error. Some things just seemed to really fit with her voice. I also tried to use my voice in ways that I don’t normally use it, so there’s some unusual tones and characteristics in there. Like you rightly point out, I think there’s a really nice sound that’s made when Sharon and I sing together. That was quite a nice discovery. It’s got a really good blend, even singing unison. Did you write all the lyrics? I wrote most of the lyrics. She was there casting an ear on everything and coming up with the odd line — just the good ones, as she says. She deferred to my experience in that regard, I suppose, but I was definitely influenced by trying to give her things that she would enjoy singing. There are a few angles on there that are quite unusual for what I would write in normal circumstances. Can you perceive any evolution in your songwriting over the course of your career? It would be very hard to be objective about, but I’m aware that my music has changed over the years. Certain new things have been added. It’s always mysterious. If I take pleasure and, say, pride in a song from the past often it is I can’t really remember how it came. And I don’t really know that I couldn’t do it again. You do sometimes battle with the idea that, on a day when you can’t write, you go, “Well maybe my best work is behind me.” And then you have a real breakthrough one day and go, “I think this one could be the best thing I’ve ever done.” So it’s a continual process of picking yourself up from feeling worthless and then stopping yourself from getting too big a head. Is songwriting something you enjoy? That’s a tough question because like anything that’s worthwhile there’s always going to be struggle. But I’m compelled by it. I love it, and I find it totally fascinating. You might as well just ask somebody who’s in a long-term relationship whether they enjoy being in a long-term relationship. There are so many aspects to it that are not necessarily straightforward or always harmonious. Songwriting can be the most desperate feeling on earth if you’re not getting anything done. But the moment of breakthrough, you have a little revelation… Inspiration only comes to those that work anyway, I think. If you just sit around and wait for all the good bits to happen; I think it’d be a rare person that’s got that much a gift. Do you find that songs you’ve written resonate in different ways with you over time when you perform them? Oh, absolutely. In the right circumstances — an intimate setting perhaps — some of the more obscure songs that never really had a lot of attention at the time rise to the top of the show. There’s a song from the first Finn record, which is quite an obscure record actually, called “Only Talking Sense,” which we never got to play much but I’ve been playing it quite a bit lately solo. For some reason it just seems to have a tremendous power and seems to really get people excited, whether or not they know it. A lot of your best work doesn’t necessarily get noticed at the time. There are circumstances that create… Maybe the stars line up, people take notice. They’re all paying attention. Certain songs rise in those times, and they become your hits. But I think in a parallel universe there are a whole lot of other songs that you write that are potentially equal songs, but don’t come at a time when people are paying attention. But they resonate over a long period of time, and I think they sometimes have their day a lot longer. It’s a good thing to remember and put some faith in. In reviewing a Crowded House show last year in Florida on the Intriguer tour, I noted that you never once came across as if playing the hits — and you must have played “Don’t Dream It’s Over” hundreds of times by now — was an obligatory gesture just to perform the new material. I have long believed that every time you play music you have to put the same level of commitment and intensity into it or it won’t be good music. Which is not to say that you try too hard, but you focus as much as you can. And I would say the same thing to the band when we’re in rehearsal. I just don’t accept than you can go through the motions of something, just to learn it and that’s okay. Every time you perform you should perform like you really mean it. You also seemed to appreciate that so many people have taken your songs to mean something very personal to them. But that obscurity allows for those kinds of connections. I think it does, because it leaves doors open for people [so] they can wander through them and make of them what they will. I think back to when I was listening to music as a teenager and I never really fully embraced the entire meaning of a song. For a long time I would listen to it, and I would love it without wanting to know what all the lyrics were about. Certain lines would pique my imagination and send me somewhere. Ultimately, of course, you don’t know what the songs you've written are going to mean to people. That’s right. You can’t choose who your children are going to sleep with.